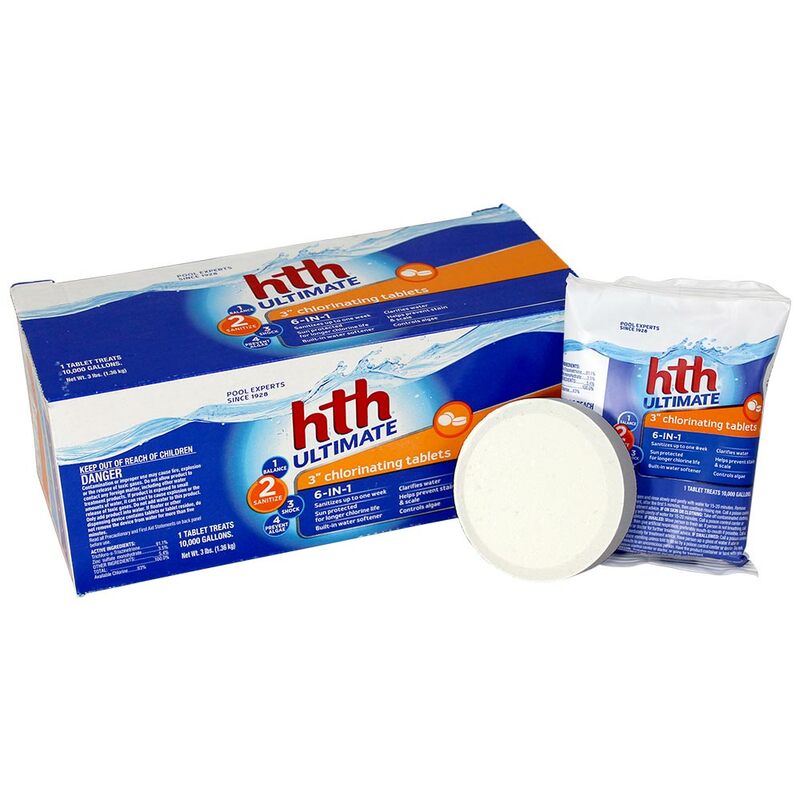 The hth ultimate 3" chlorinating tablets are an effective swimming pool water sanitizer. They are convenient and easy to use and are formulated to protect against chlorine loss from sunlight, and can be used in feeders. 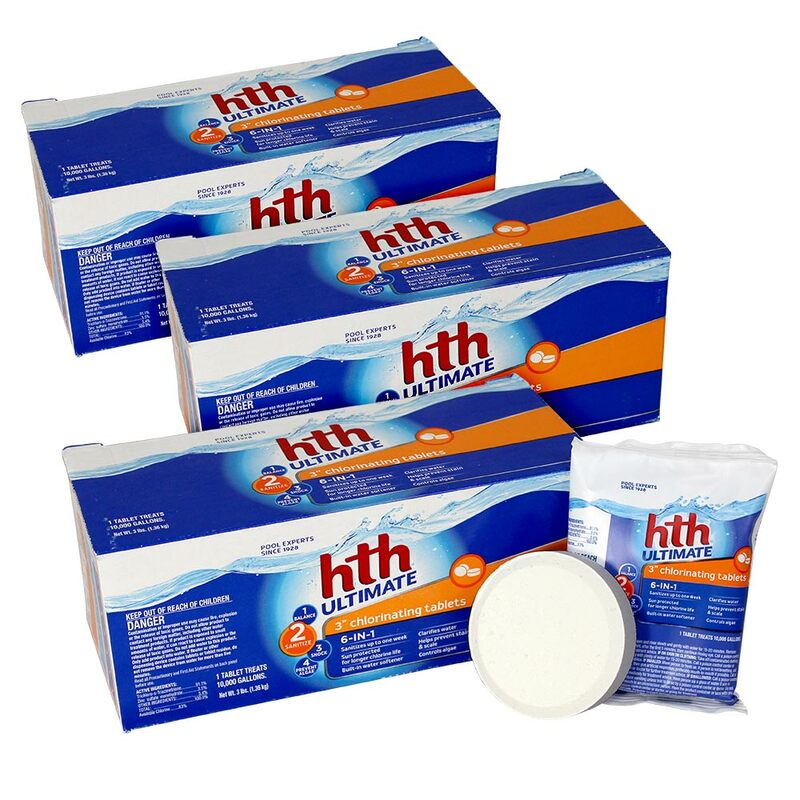 They are designed to dissolve slowly to provide a steady source of available chlorine to control the growth of algae, kill bacteria and destroy organic contaminants.